My life has been a life learning about livestock from cattleman, cowboys, cow buyers, rodeo stock contractors, rodeo coaches, rodeo cowboys, butchers, hog farmers, sheep herders, sheep farmers, dairy farmers, auction market operators, plus more I can’t remember. This was all before I was thirty years old. I not only learned about livestock, but also about all kinds of different styles of management of many types of agricultural operations. I went to college on a rodeo scholarship and took animal science classes. I did not last a whole year. There were lots of reasons, but the main one I think of now is I felt I could learn more at home. Since that time I have always been on a livestock operation, and can’t imagine not. I barely remember a man named Dan Buck. He was a brand inspector that gave me my first real las rope. I have heard lots of story’s about him. He was a very different person and had many different ideas about how livestock should be handled. I wish I would of known him better. There is an Native American fellow named Bill LaFromboise from Helena, Montana that I have known all my life. He has a very special way with livestock, and I have seen him do some amazing things with animals that I wish I could understand. Curly Atkinson was a sheep herder and livestock man that was kind of a legend to me when I was young. He worked for Sieben Livestock that had a feedlot next to our place and my mother cooked for him sometimes. She and my grandfather had great respect for his abilities. I could go on and on about the great stockman and horseman I was influenced by either through story’s or actually working with them. I am pretty sure if you have been around livestock much you know what I am talking about. My first big influence or inspiration was a fella named Butch Anderson as far as doing things different and working with an animals mind. He also worked for Sieben Livestock. I spent a whole bunch of time with him. 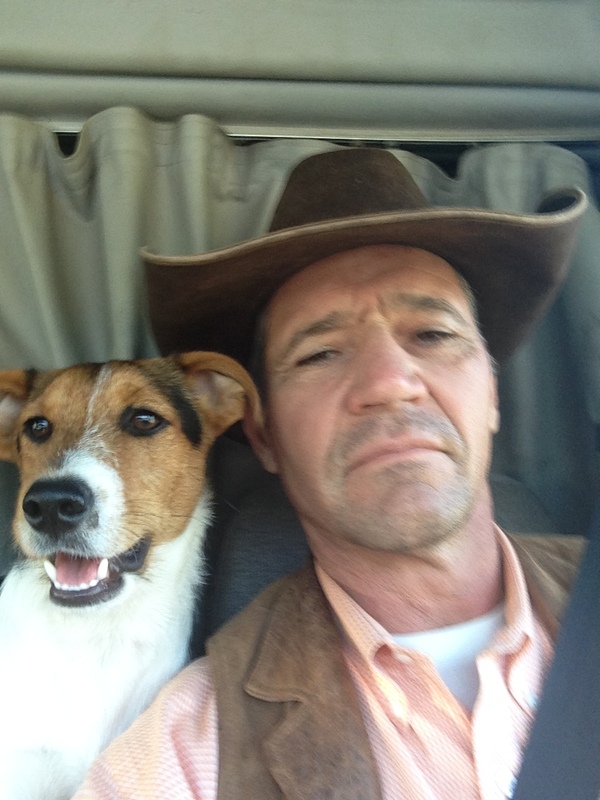 From calving heifers to catching horses to working with dogs, Butch thought me to take a very different approach. The horseman and stockman instructors of the day are great at helping people that don’t get to work with livestock all the time. The world has changed in the way we need to work stock, and the modern day instructor is helping to get this done. But let’s not forget the men and women of the past that have dedicated themselves to the care and handling of livestock. From the Texas trail drivers of the 1880’s to the shepards of biblical times, to the yak herders in Mongolia I am pretty certain there have been a few good ones in all the livestock that have been handled through time. It seems a little arrogant to think otherwise. So for my part, I am sharing things I have learned through my life from good and bad stockman. When I give a live demo or write something it is partly how all these experiences have influenced me. So thank you to all the folks that have shared the skills of a stockmen with me. If you have been dedicated to livestock all your life and have skills share it with others. It really bothers me when people say that the stockman of yesterday are not up to par with today’s names in teaching horse and livestock handling. When I give a demo or talk publicly about dealing with animals, in my mind all of the great influences of my past are a part of it. This is a huge responsibility and I don’t take it lightly. Ballie Buck was a great stockman in our area. He was kin to the before mentioned Dan Buck. There is a book I would recommend ( available on amazon) titled “What the Cow Said to the Calf”. The name of the book comes from Charlie Russell saying, now there’s an Indian that knows what the cow said to the calf. That kind of says it all about total stockmanship. We should all try to understand “what the cow said to the calf”. I will try to keep learning and sharing ways to get there.